When thinking about a home in which to start a family, you have more to think about than whether you like the house. It might tick all of the boxes on the inside – character features, the right amount of bedrooms and a garden – but you also have to consider the location of the home. The location is the only thing about the home that cannot be changed. You can redecorate, renovate and extend the home on the inside to make it exactly as you want, but if the local area does not meet your needs, you will soon want to move again. Consider the crime rate in the area – is this somewhere you would feel safe walking alone? Would you allow your child to walk in the area alone – or even play out with friends? If you have answered no to either of these questions, then you may want to consider looking elsewhere for your home. Likewise with the local schools, if you are in the catchment area for certain schools, it is highly likely your child will be attending them. A good education is important, so you want to make sure the local schools have a good reputation and achieve good OFSTED reports. A good area also comes at a higher price, so you will need to shop around for the perfect house if you are on a strict budget. There are several ways to finance your home, and new couples just getting their foot on the property ladder can also get government help. The Help to Buy Scheme reduces the amount you need to borrow by lending you all or part of your deposit money. 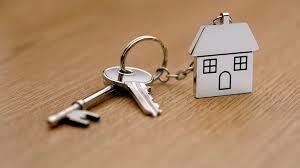 You can therefore get a smaller mortgage, which means smaller monthly repayments. You may also want to consider buying a home on a new development. This usually works by paying an initial deposit and then paying the rest of the money in stages as the property gets closer to completion. The good thing about this is that you can save a bit more money between each stage, so you will be able to borrow less. Buying a new house also means you can usually choose your own fixtures and fittings – for example, the type of kitchen and bathroom – which means you are able to put your own stamp on the property before you have even moved in. Hamilton King’s Wiki page is full of helpful advice on new developments. If you are considering buying a home, you need to do your research. Would you prefer a new development, or an older property with more character? What are the crime rates like in the area? Are the schools good? The answers to all of these questions will help you to determine exactly where you should consider setting up home. Look into your financial options so that you can be sure that you can get the best home that you can afford, but be prepared for compromises!